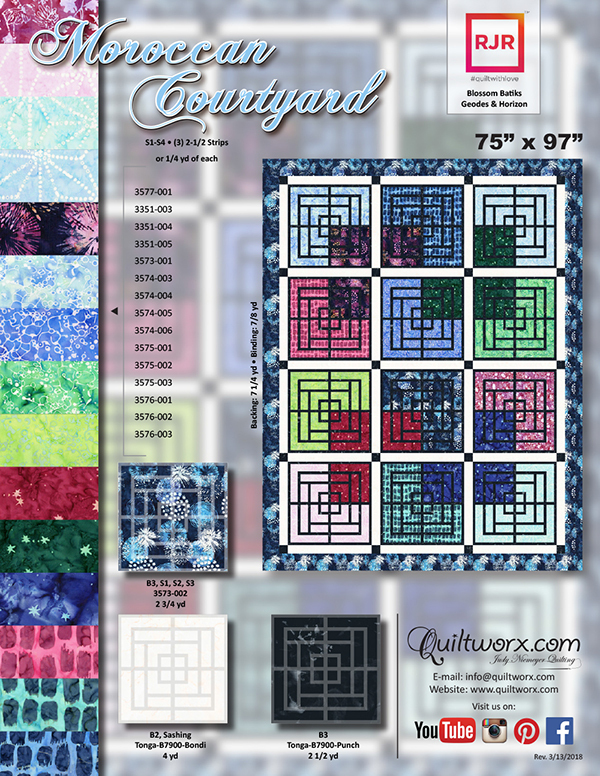 The Moroccan Courtyard was designed as a beginner pattern to introduce quilters to paper piecing. 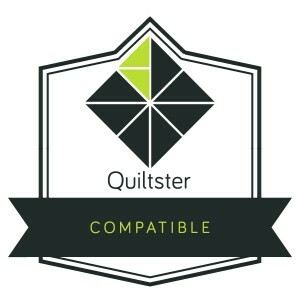 The project is fast, uses only one foundation block, employs simple cutting techniques, and is an affordable and fun way to jump into your first paper piecing project. It is meant to make those new to the process find confidence, understanding, and success. 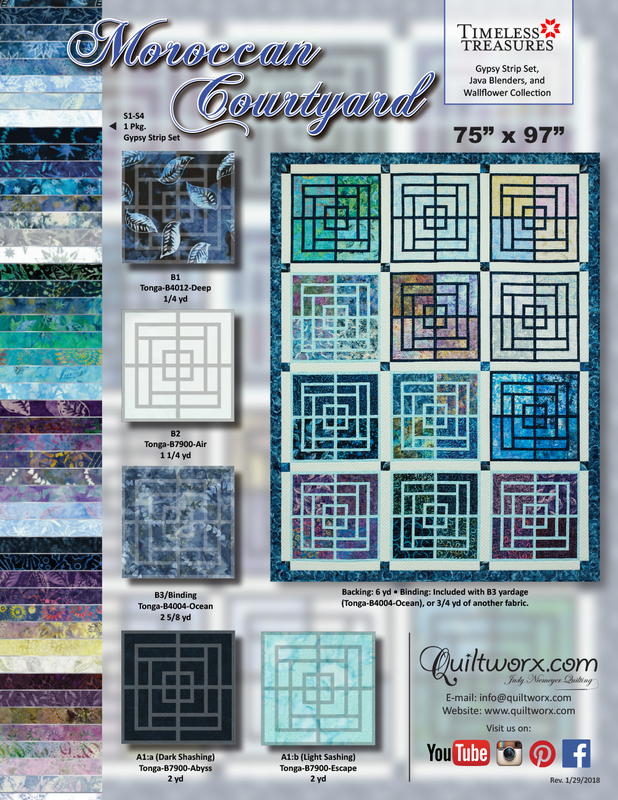 The foundation papers for the Moroccan Courtyard were designed by Quiltworx. The instructions included herein describe the process of making one quilt. 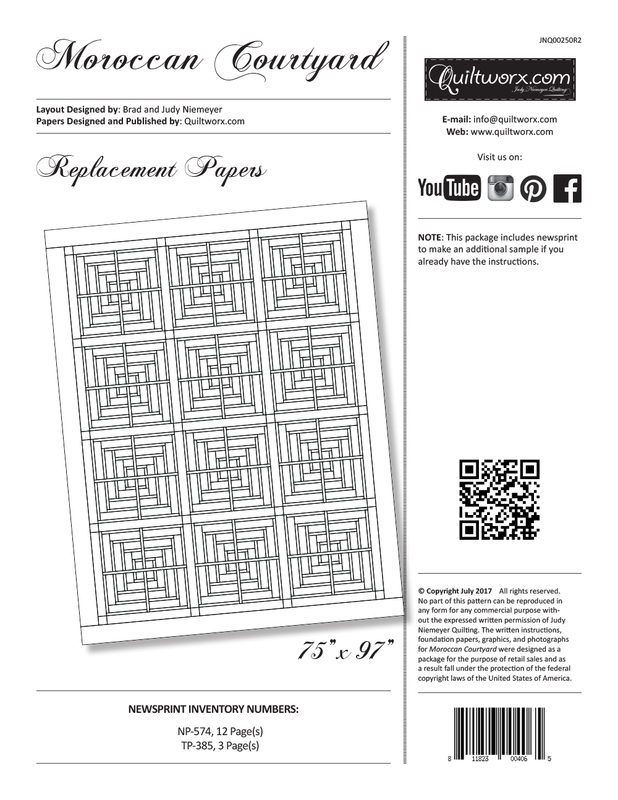 Additional papers are available for purchase to increase the size of the pattern or make another quilt. The cover Quilt utilizes 2-1/2″ Strip sets in packages of 48, called Quiltworx Strip Sets, manufactured by Timeless Treasures. 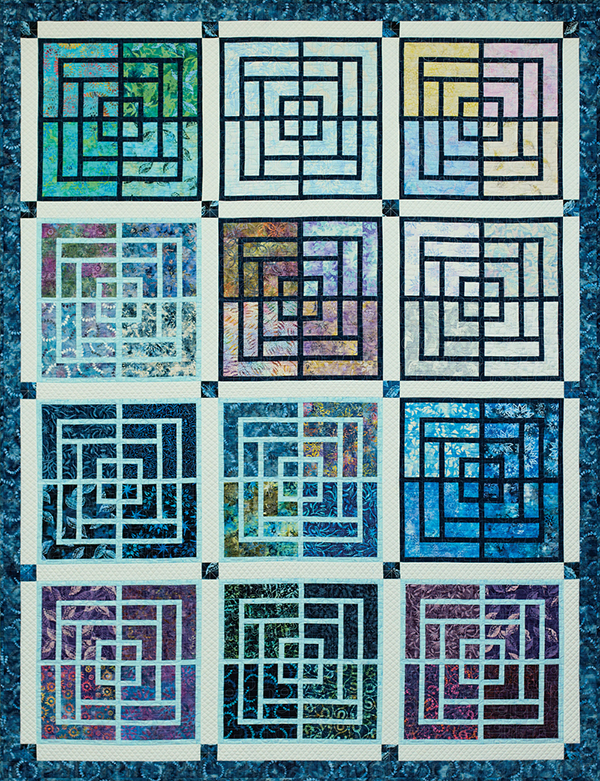 These strips are designed by, Pre-selected by, and Pre-sorted by Judy and Judel Niemeyer into (6) Color Groups of (8) fabrics ranging from light to dark. 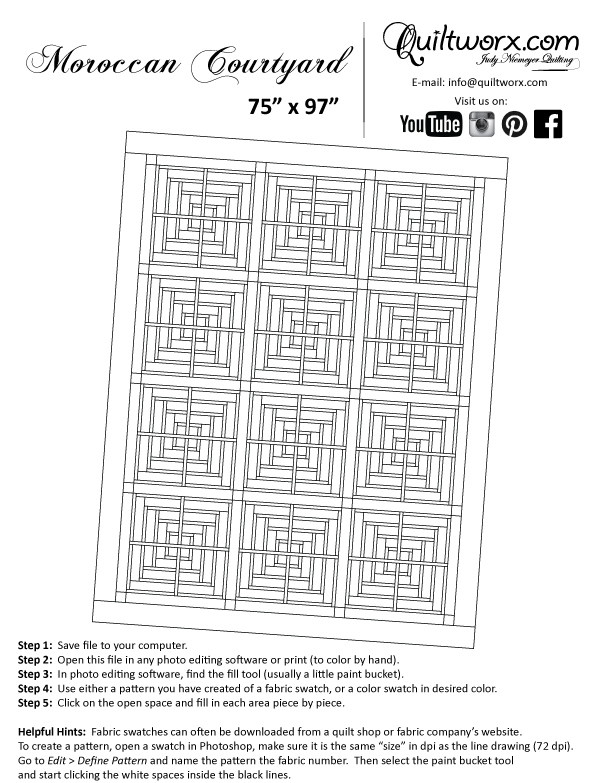 You do not need to use these for the design, but if you do, the instructions are written for you to quickly sort and organize your design similar to the quilt on the cover. Instructions for choosing your own fabrics are included in the pattern as well! Sorry, there are no classes scheduled for Moroccan Courtyard at this time.